The bus was en route to San Manuel Indian Bingo and Casino in Highland. More than 50 were injured when a charter bus overturned on the 210 East in Irwindale on Thursday morning, Aug. 22. The San Manuel Indian Bingo and Casino has a Bus Lobby and an extensive schedule on its website. 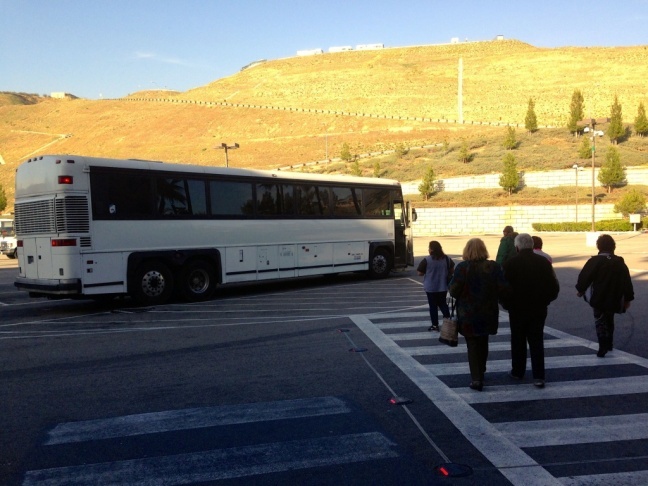 Buses at the San Manuel Indian Bingo and Casino pick up and drop off passengers from nearly 30 stops in Southern California. A casino bus driver waits for passengers in Rosemead. 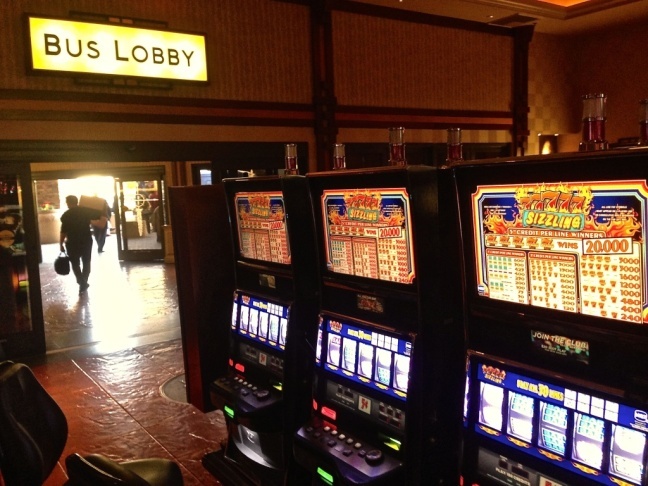 Buses usually charge 5 to 10 dollars for rides to casinos in Southern California. 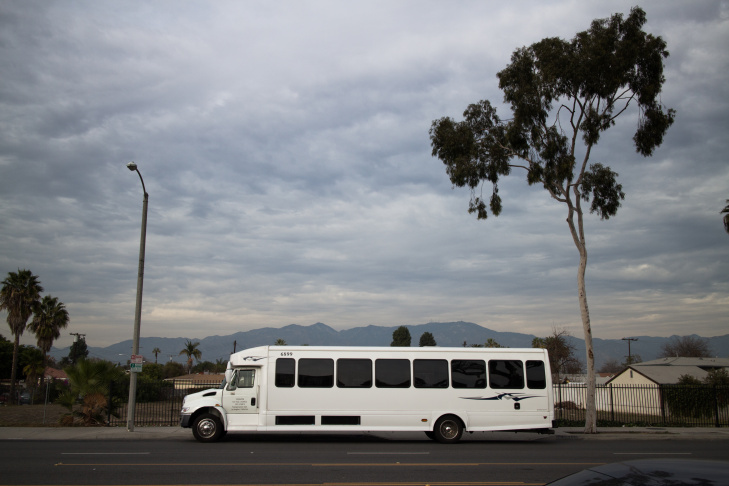 At a casino bus stop in Rosemead, KPCC found that half of the buses that stopped on a recent afternoon were listed on a federal watch list due to drivers who falsified records or skimped on maintenance. 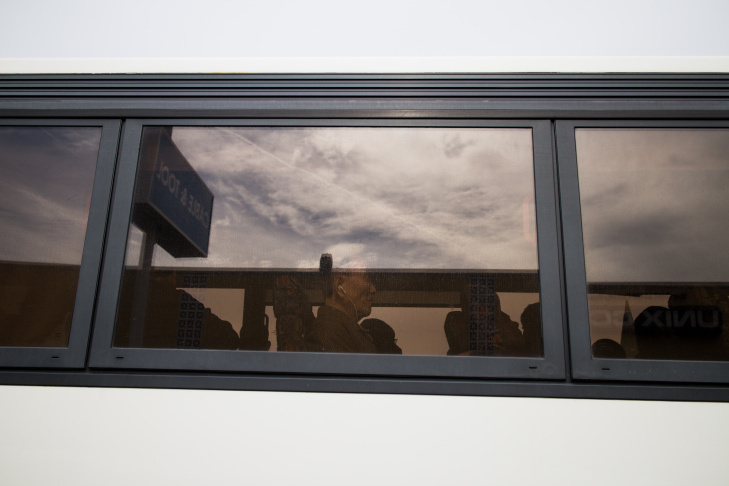 A man sits in a casino bus in Koreatown on January 7th, 2014. In the past year. at least 10 people were killed, and nearly 200 injured in Southern California tour bus crashes. Passengers board a bus at the San Manuel Indian Bingo and Casino. This is the second of two KPCC stories on safety and the burgeoning business of casino tour bus brokers. As the buses have grown in popularity, regulation has become more lax, with dangerous consequences for passengers and other drivers on the road. Here's a link to part one. Buses that carry people to and from casinos are part of a booming business in Southern California, but as these buses have soared in popularity, KPCC found regulation has become more lax. At the same time, casino buses have been beset by a string of recent deadly accidents. On a recent afternoon at the vast San Manuel Indian Bingo and Casino, gamblers crowded around the roulette table and tried their luck at blackjack or one of the thousands of slot machines. If you walked through the smoky haze, past the window where, if you’re lucky, you cash in your chips, you reached an area called the Bus Lobby where coaches line up, picking up and dropping off gamblers, whisking them to almost 30 stops in Southern California. But the casinos – none of which would talk to us - don’t see it that way. They prefer keeping the bus companies at arms-length, casting them off as merely independent operators. "Pala Casino Spa Resort does not own or operate any of the tour buses that bring guests to our property. We contract with each independent tour bus company for that service. As part of those contracts, we coordinate with all state regulatory agencies and the bus companies to ensure the buses are regularly inspected and maintained for maximum guest safety." “I think they are intentionally turning a blind eye to the dangers that these buses create for these customers,” said Katherine Harvey-Lee, a lawyer who’s represented bus accident victims. She points out that most casinos post their bus schedules online, for everyone to see. “You’ve put them on your website and I think by doing so you’re impliedly endorsing these as a safe way of getting to your casino,” said Harvey-Lee. San Manuel’s bus schedule lists a company called Jumbo Universal that has been banned from the road. We saw another operator – W & H Trade – parked in San Manuel’s huge bus lot that is on a federal watch list for safety violations. At a casino bus stop in Koreatown, KPCC found half the buses the stopped on a recent afternoon were also on the watch list with violations involving bad breaks, overworked drivers and leaking fuel. We found the similar situation at a stop in Rosemead, where we saw a carrier called Da Zhen International picking up passengers. The same company was involved in a crash on the 210 freeway in Irwindale last August that injured more than 50 people. Authorities blamed the crash on the driver, who made an unsafe lane change. RELATED: Is the tour bus you're taking on California's watch list? All told, almost 200 people have been injured and at least 10 killed in Southern California tour bus accidents the past year. 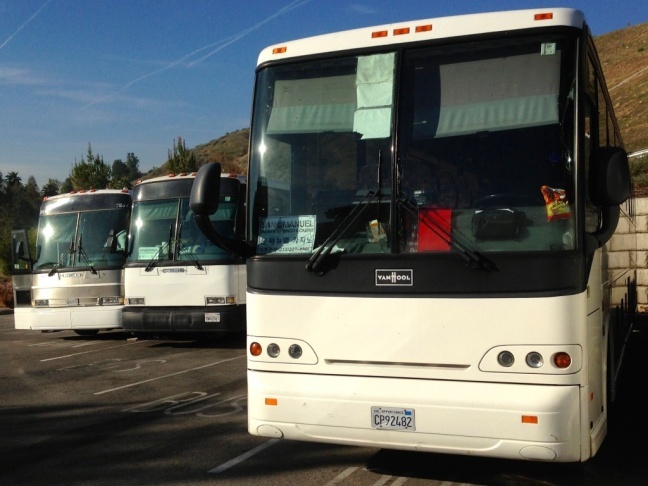 California has the most tour bus operators in the nation – some 400 according to the National National Transportation Safety Board (NTSB)– and yet a recent federal crackdown resulted in just one California carrier being shut down. Katherine Harvey-Lee finds that appalling. In our investigation, KPCC found a problem that can keep dangerous tour buses moving, even after they’ve been ordered off the road. We called the California Highway Patrol and asked them to look up that banned company, Jumbo Universal, in the CHP database. “I run that in the system and it shows their current status is satisfactory and they have various operating authority that appear to be on record,” Jeff Picardi, who helps oversee bus safety at the CHP, told us. In other words, if a CHP officer pulled over a Jumbo Universal Bus today, says Picardi, they wouldn’t know it had been banned by both the feds and the California Public Utilities Commission (CPUC), which regulates buses that don’t cross state lines. “Normally, roadside we may not know about that out of service condition,” said Picardi. The Federal Motor Carrier Safety Administration (FMCSA) regulates tour buses crossing state lines. Buses driving within California are licensed by the CPUC, and the CHP does its own yearly safety inspections. But as we found talking to the CHP, the three agencies don’t always share information. “The difference between our internal system and the feds are, they don’t talk to each other,” said Picardi. Picardi says the CHP is working on a fix, but it won't be ready until next year. 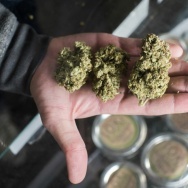 There’s another problem that’s even more troubling to law enforcement. 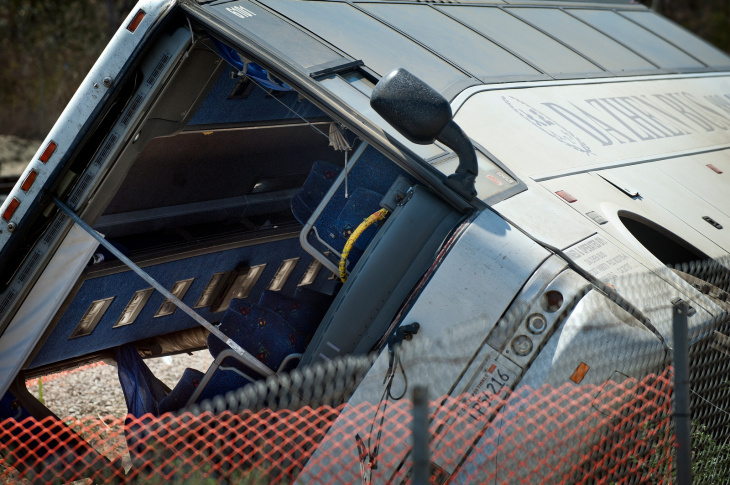 They’ve lost one of their best tools to catch unsafe tour buses: Surprise roadside inspections. 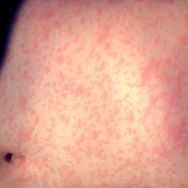 “We used to be able to inspect at any time we would choose,” said Picardi. But that all changed in 2005 when Congress passed legislation that included a ban on surprise roadside inspections. “Literally, it was something that was stuck in the transportation bill at the last minute,” said Stephen Keppler, Executive Director of the Maryland-based Commercial Vehicle Safety Alliance. “We didn’t see it until it was already in the bill. From our perspective, something this significant clearly was motivated politically. Really, safety wasn’t considered." The FMCSA says it was still able to inspect more than 850 buses at about 100 different surprise inspection points in California last year, but the inspections can’t happen while a bus is in transit unless there's a visible problem, like a flat tire or a smoking engine. “Frankly, it’s had a huge impact on law enforcement’s ability to do an effective job of policing the highways regarding unsafe motor coach operators,” said Keppler. If officers want to inspect buses at a casino, they have to call ahead and ask permission to come on the property. Among those who wanted to stop the surprise roadside inspections was the American Bus Association, which argues the inspections are unsafe for passengers. Trouble is, it’s difficult for law enforcement – let alone riders – to know something as simple as which company is operating which bus. One carrier gets banned, and a couple weeks later another pops up, with the same owners. They're known in the industry as chameleon carriers. Regulators and lawmakers have tried for years to bring back surprise roadside inspections, but haven’t gotten anywhere. After last February’s tour bus crash in San Bernardino that killed 8 people, U.S. Rep. Gloria Negrete McLeod proposed a bill that would allow in-route inspections. That bill is stuck in committee. For years, the FMCSA has been criticized for not doing more to shut down unsafe tour bus operators and the slew of tour bus crashes in California hasn't helped. Last November, concerned the FMCSA isn't doing more to stop deadly tour bus crashes, the NTSB called for an audit of the agency's practices. "While FMCSA deserves recognition for putting bad operators out of business, they need to crack down before crashes occur, not just after high visibility events," NTSB Chairman Deborah A.P. Hersman in a statement. "Our investigators found, that in many cases, the poor performing company was on FMCSA's radar for violations, but was allowed to continue operating and was not scrutinized closely until they had deadly crashes." This week, the FMCSA announced the adoption of tougher new rules, allowing the agency to shut down any bus company that has a history of purposely disregarding safety. 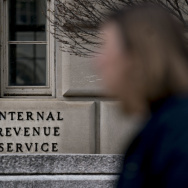 “The rule is one of the new enforcement tools that the agency has developed in recent years to target high-risk carriers that endanger travelers by avoiding or covering up their negative history of safety compliance,” the agency said in a statement. 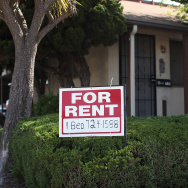 How are California's in-state transport services regulated? 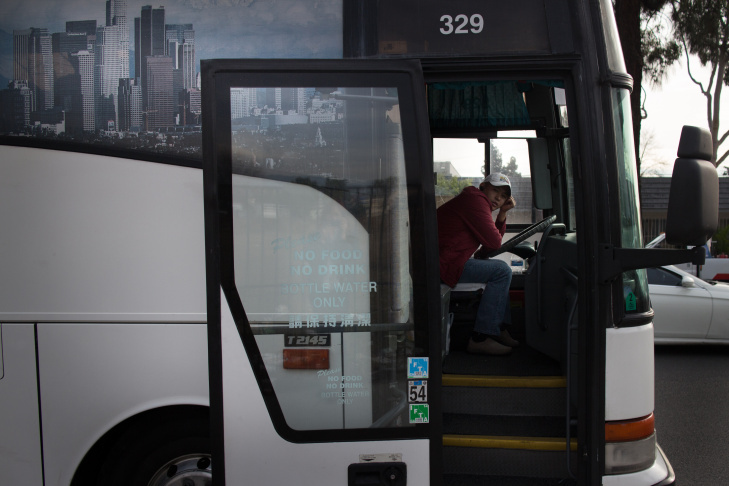 Bus lines, shuttles and other motor coaches that travel to and from destinations within California — intrastate travel — and use public highways and/or streets must apply for and receive operating authority from the California Public Utilities Commission (PUC). Here is a quick comparison of the PSC and TCP designations based on PUC documentation. What is it? A "classic PSC" is a carrier with a regular schedule that travels on fixed routes between fixed points. Door-to-door shuttle services also qualify as a PSC if all transportation begins or ends at a single point, such as an airport. Scheduled bus service owned by a public transit system does not fall under the PUC's jurisdiction. "Charter party" transportation includes services charted by an individual or group that has control over when and where the trip originates and ends, and what happens in between those two points. There are six types of TCP certificates, and each is based on the number of passengers a TCP carrier can transport, the individuals or groups being transported and whether the operating authority can be transferred. Method of fare Individual fares Consumers are charged based on miles traveled, time of use or a combination of the two. There's an exception for round-trip sightseeing tours that allows for an individual fare to be charged. Fare regulation Must file with the PUC in setting the passenger fares, and must adhere to this fare. Fares can be changed with PUC approval. Charges by TCP carriers are not regulated by the PUC. Vehicles Generally, allows for the operation of any number of vehicles under the same certificate, permit or registration. Generally, all three designations allow for the operation of any number of vehicles under the same certificate, permit or registration. And with the exception of a certain TCP permit, a motor carrier can operate a vehicle of any seating capacity. 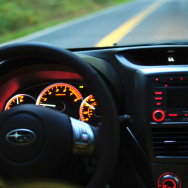 Drivers Drivers must be licensed per state law and be the holder of the permit or operating authority or be under the "complete supervision, direction and control of the carrier. They also must be an employee of the authority holder, an employee of a sub-carrier and an independent owner-drive who holds a charter-parter carrier authority and is operating as a sub-carrier. Drivers must be licensed per state law and be the holder of the permit or operating authority or be under the "complete supervision, direction and control of the carrier. They also must be an employee of the authority holder, an employee of a sub-carrier and an independent owner-drive who holds a charter-parter carrier authority and is operating as a sub-carrier. Drug testing Must provide a drug testing program that includes educational materials for drivers, training for supervisors and testing of drivers for the use of alcohol or controlled substances. Those carriers that operate vehicles with a seating capacity of 16 or more are exempt from this requirement if they certify and comply with federal drug testing regulations. Must provide a drug testing program that includes educational materials for drivers, training for supervisors and testing of drivers for the use of alcohol or controlled substances. Those carriers that operate vehicles with a seating capacity of 16 or more are exempt from this requirement if they certify and comply with federal drug testing regulations. Liability insurance requirements Carriers are required to file evidence of one or more types of insurance coverage to secure and maintain active operating authority or registration. All carriers are required to file evidence of liability coverage. With an exception for a specific TCP permit, carriers are required to cover a minimum liability insurance depending on the number of passengers they carry. For 7 passengers or fewer, they must carry $750,000 minimum liability; 8 through 15 passengers - $1.5 million; 16 passengers or more: $5 million. Carriers are required to file evidence of one or more types of insurance coverage to secure and maintain active operating authority or registration. All carriers are required to file evidence of liability coverage. With an exception for a specific TCP permit, carriers are required to cover a minimum liability insurance depending on the number of passengers they carry. For 7 passengers or fewer, they must carry $750,000 minimum liability; 8 through 15 passengers - $1.5 million; 16 passengers or more: $5 million.